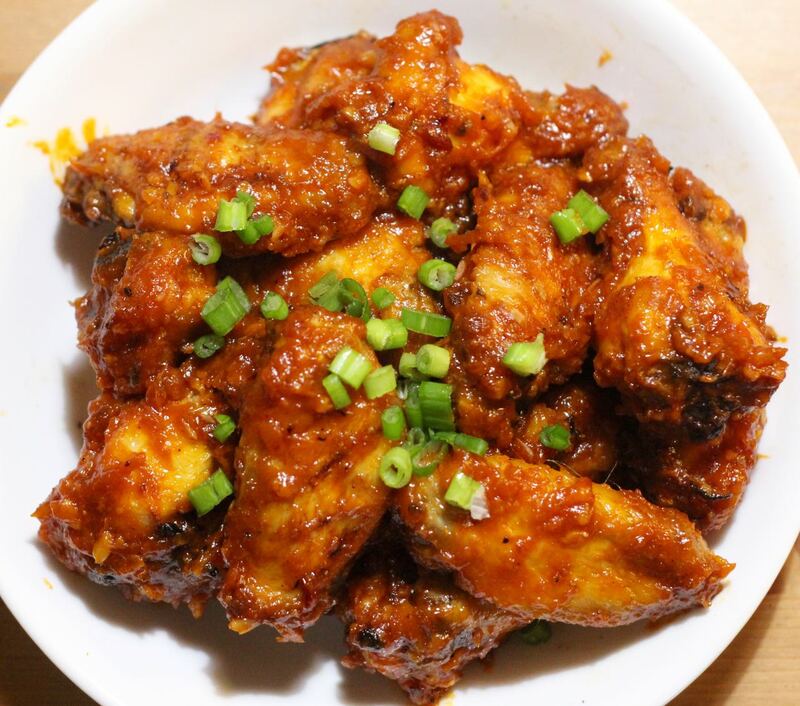 -1 tablespoon of Gochujang sauce (buy at Asian grocery store or Amazon) .Mix the sauce with ½ cup of water. Use towel paper clean the chicken and ensure they’re dry. 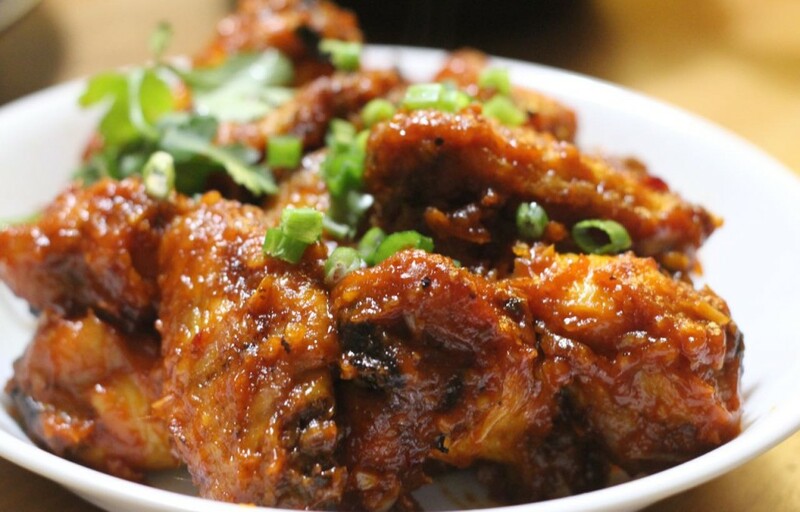 Mix the chicken wings with salt and baking powder. 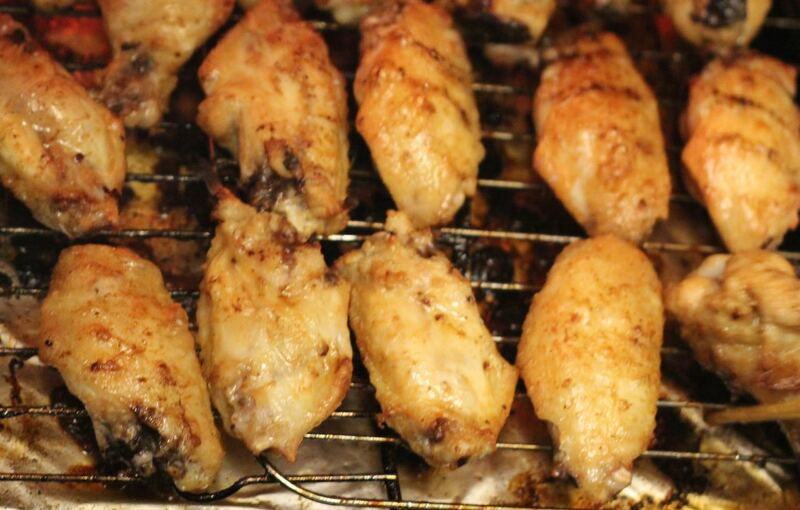 This step will help the chicken wings crispy and moist. Bake the chicken until golden brown: 15-18 mins each side @ 400 degree. Broil 2-3 mins each side at the end. 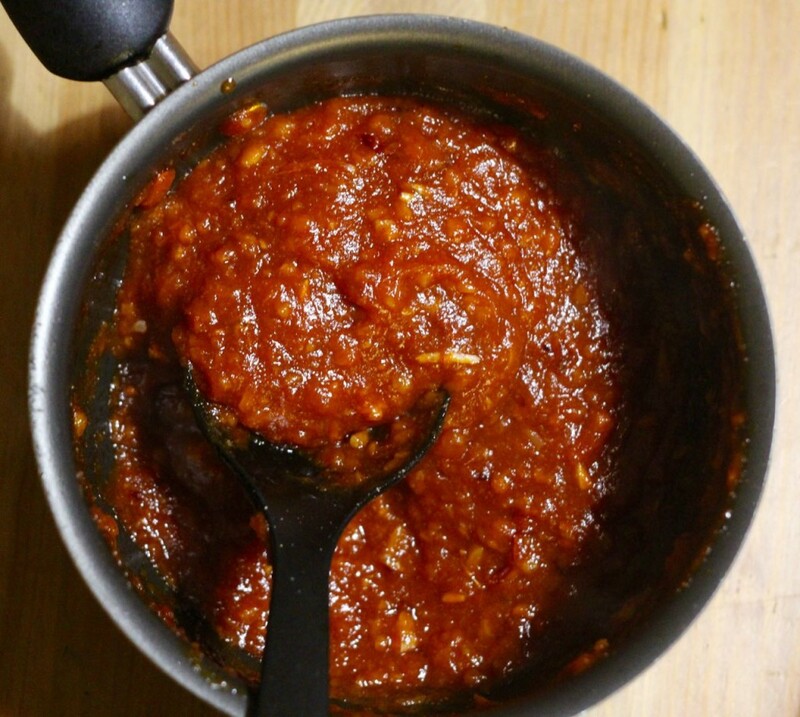 Make the sauce: Stir fry garlic and shallot together with vegetable oil for 30 seconds. Add the rest of the sauce to the pot and stir the mix. Cook until it boil. 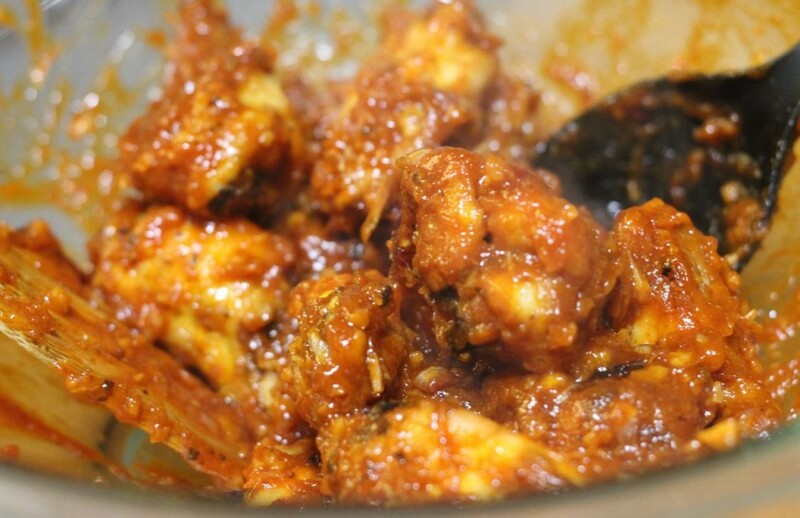 Mix the chicken and sauce together in a big bowl.